Variegated, evergreen shrub prized for its white, sweetly fragrant flowers in winter to early spring. A great dappled shade foundation plant. 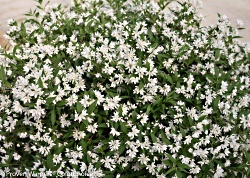 Plant near a deck or patio where its fragrance can be appreciated. 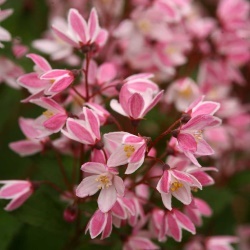 Low, spreading deutzia with pretty pink flowers in the spring. Beautiful when mass planted as a goundcover, Attractive fall color. Deer resistant. You'll love this extra-heavy, long blooming variety. 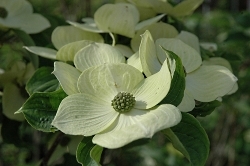 Elegant white spring flowers appear at the perfect time for spring gardens, and its neat mounded habit and attractive fall color make it a great landscape plant. This handsome evergreen is a spreading shrub growing wider than it does tall, probably up to 4 feet in height and twice that in width. 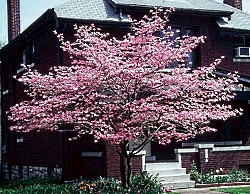 It has dark, blue-green foliage and attractive, maroon flowers in spring. 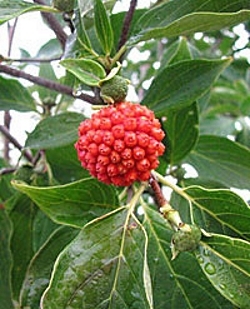 This shrub is unique and more likely to be found in the more discriminating gardener's collection. Ideal for massing and backgrounds. 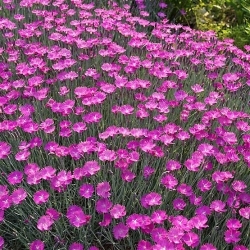 It is adapted for sun or part shade and does well near the coast. 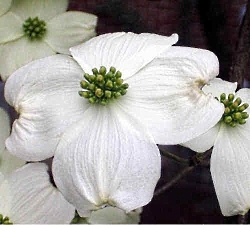 This moderate growing shrub-like dogwood will grow to about 8 feet tall and wide displaying white flowers in the spring. 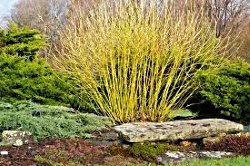 This variety is known for its winter interest of bright yellow new stems. 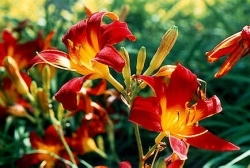 Ideal plant for wet areas of the landscape.